Predictive analytics is an approach that helps in predicting unknown future events. There are many techniques that are used in predictive analytics such as machine learning, data mining, data modeling, and artificial intelligence to examine current data and make future predictions. Also, it helps in finding patterns in both structured and unstructured data sets, thereby assisting in the identification of future risk and opportunities. Furthermore, predictive analytics has the potential to integrate management and technology together to drive better business outcomes. 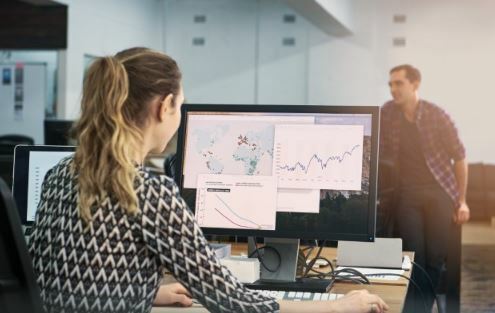 By leveraging predictive analytics solutions, businesses can become dynamic and can anticipate behaviors and outcomes based on the known facts and data and not merely upon assumptions. How can predictive analytics solutions help businesses derive successful outcome and boost ROI? Read Quantzig’s recent blog to find out. 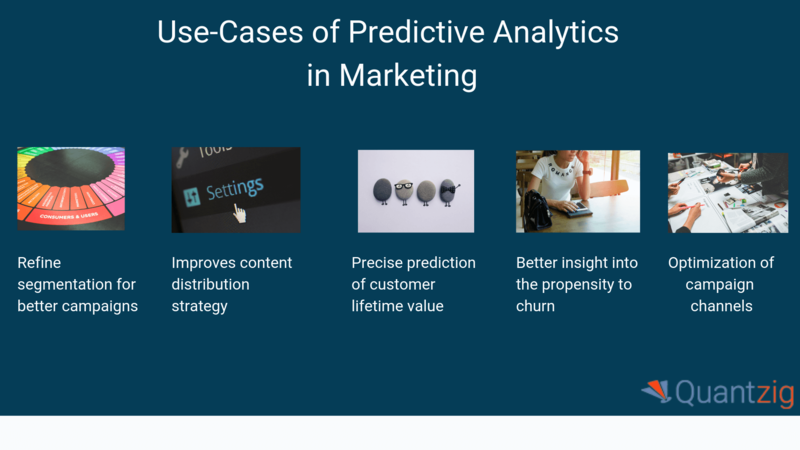 Leveraging Predictive analytics in marketing can help businesses refine their marketing strategies and provide personalized services to customers. Want to know how? Get in touch with us right now! How can predictive analytics in marketing drive profitability for business? Are you thinking the same? The answer to it is, any tool, process or technique that can guide marketers to identify the buying habits of consumers is nothing less than a boon to their business. This is because if the past buying habits of a customer are identified and analyzed well, it can help in projecting the future buying habits, thereby helping in future decision-making based on those projections. Predictive analytics in marketing helps to ensure that these predictions are precise and accurate. Today most of the products and services are sold online. Application of predictive analytics in marketing especially helps in this case. It helps in highlighting the products that are on high demand and those that customers prefer to buy at any given time. The second benefit that businesses gain by applying predictive analytics in marketing is that they can target the most profitable products and services. 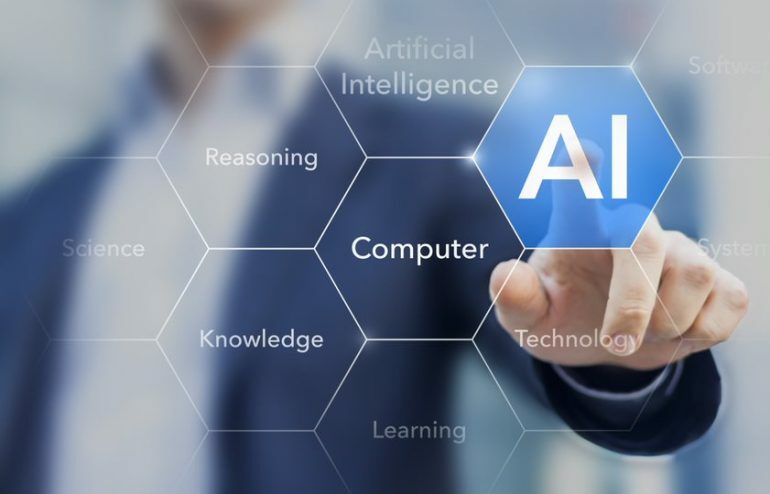 By administering the technique of artificial intelligence and machine learning, it is easy to identify affluent customers who prefer high-end products. This is an integral part of effective and predictive marketing strategy too. 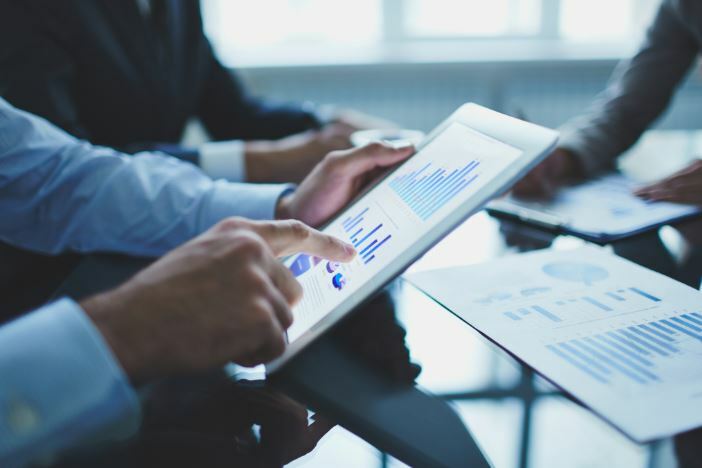 By applying predictive analytics in marketing businesses can gain insights into new profits streams, better ways to conduct the business, and ultimately lead the game. Request a free proposal to know more. Predictive analytics in marketing can inform businesses about customers who are most likely to be repeat customers. Owing to the high competition, businesses need to allocate resources on targeting such customers that are likely to profit the business the most. And applying predictive analytics in marketing is the best step to achieve this. How can predictive analytics help in forecasting consumer demand precisely? Read our latest success story here to gain better insight. Finally, predictive analytics in marketing helps in prioritizing customers. It helps in identifying factors that indicate that a particular customer s most likely to become a repeat customer. It guides to recognize customers who buy the highest-margin products and are most likely to initiate returns. Applying predictive analytics in marketing helps in refining customer segmentation and creating customized campaigns. It allows to mine behavioral and demographic data to push quality leads further down the sales funnel. Sometimes even the good content fails to drive business and the reason behind this is an ill-defined content distribution strategy. By applying predictive analytics in developing a marketing strategy, this problem can be tackled head-on. 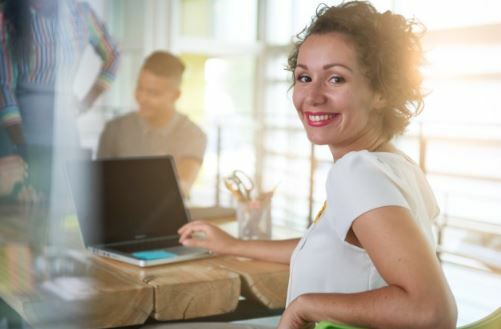 Using predictive analytics in marketing makes it easier to analyze the types of content that resonate most with customers of certain behavioral or demographic backgrounds. Furthermore, this helps in distributing similar content to such customers sharing the same demographic or behavioral habits. Request a FREE demo below to know how our predictive analytics solutions can help your business. Artificial intelligence and machine learning can make predictive analytics in marketing more efficient. It can enable businesses to gauge the historical lifetime value of existing customers that match the backgrounds of new customers. Consequently, this can help in making a fair and precise estimate of the lifetime value of new customers. Protecting your bottom-line becomes much easier by leveraging predictive analytics in marketing. How do you ask? By analyzing and learning from the mistakes committed in the past. By applying predictive analytics in marketing, businesses can analyze the behavioral patterns of previously-churned customers. Furthermore, this can help in identifying the warning signs from current customers. Consequently, businesses can take measures to plug such customers into a churn-prevention nurture campaign. By leveraging predictive analytics in marketing, businesses can optimize their campaign channels as well as the content. With the entry of new customers in the business pipeline, there is an availability of their data which can be utilized for the various purpose. These purposes include identification of most suitable marketing channels, content type and even data and time to target specific and potential customers. The banking and financial services sector has transformed tremendously over the past few years. 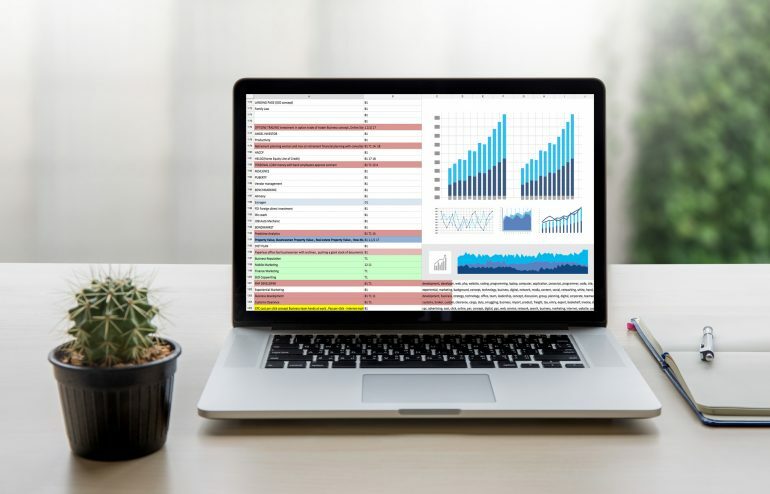 The recent advances in analytics and predictive modeling techniques have further propelled businesses by offering powerful analytics tools to gain insights into the changing customer needs and behaviors. 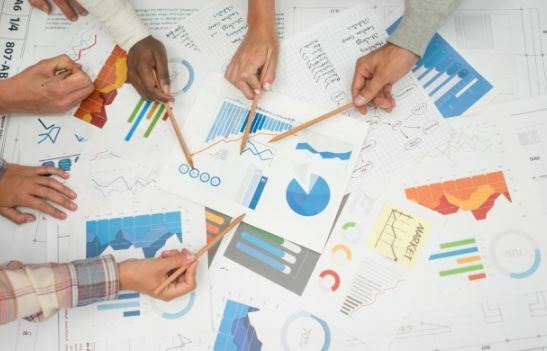 With the rise in the use of advanced analytics and data visualization techniques, these analytics advances have begun to accelerate rapidly across industries. The potential benefits of these sweeping new advances and predictive modeling techniques are reflected in a variety of areas such as enhanced anticipation and prediction of possible customer churn, improved effectiveness of cross-selling and marketing activities, and greater efficiency and accuracy in anti-money laundering, and other compliance initiatives. In such a complex business scenario, satisfying the growing customer base turns out to be a daunting task even for well-established banks. Though banks have been adopting various tools to address these challenges, factors such as ensuring long-term loyalty, customer retention, fraud detection, and credit risk management have always been key areas of concern. Facing similar challenges the client in this study realized that predictive modeling would help them address such issues. The client chose to partner with Quantzig to effectively address their challenges and to expand their knowledge of how modern tools and predictive modeling techniques could improve the efficacy of their existing business models. Request a demo to know more about predictive modeling techniques. The banking client had been running a new customer acquisition program that focused on new customers relocating near branches with a cash incentive to open new bank accounts. Although the program had generated reasonably good results, the bank was anticipating reductions in available marketing budgets and wanted to lower program management costs while improving overall business outcomes. Our experts worked closely with the client to develop a new predictive modeling process that makes accurate forecasts to best serve their business budget and operation planning needs. The devised predictive modeling process helped the client to identify influential attributes of new responders by categorizing the prospects into five groups based on their probability of response. The client targeted the top five categories that consisted of 60% of the new and most responsive user groups. The solutions offered resulted in a stable predictive model with a performance that exceeded the client’s existing system, despite the considerable effort that had been invested in their existing model. Also, it’s essential to note that by focusing on the most responsive, new targets the client significantly increased customer acquisition rates and associated transactions while cutting down on their marketing costs. The predictive modeling solutions also empowered the client to fine-tune the audience based on various criteria to accurately predict acquisition campaign results. This, in turn, enabled the bank to optimize program performance on a continuous basis. What are the different types of predictive models?